Read this months Better Business Magazine – published monthly by Flarecom Digital Marketing. Promoting a business is a never-ending challenge for small businesses. The Internet is constantly evolving. Just as you get one aspect of your marketing right, things change and you then have to adapt and change your strategies on a regular basis. The right online Marketing Strategies will help you build your brand and attract customers. Speeding up your site is vital because if a page takes too long to load, users will leave your site and, as a result, your bounce will significantly increase which will cause your rankings to decrease. This will have an effect on your sales as lower rankings mean that potential customers will have a more difficult time finding your business in the search results. First, you have to find those pages with potential. Google helps you to do this by providing a special free tool. Google Search Console is a free service offered by Google that helps you monitor and maintain your site’s presence in Google Search results. We recommend signing up for it. When you do, simply log into your Google Search Console account, go to Search Traffic; Search Analytics and rank queries by Position. Anything that ranks between 10 and 20 is on the second page. Now, more than ever, search engine results are becoming increasingly personalized based on who is doing the searching and where they are located. This information also needs to be present on your site and more importantly, it needs to be accurate, up to date and consistent on all the sites where your business information is shared. This includes social media networks like Facebook, Instagram, and Twitter. What a lot of business owners forget is that not all the people who visit your site are ready to buy. Some might have just discovered your business and are curious to find out more about what you do. They might not even have a need for your product or service so they’re obviously not looking to buy. • Awareness. At this stage, you need to provide educational content that helps people solve a problem they’re struggling with. Think video tutorials, reports, checklists, podcasts, etc. Calls to action don’t have to be elaborate or ask much from your prospects. They can be as simple as asking for their opinion on a topic, suggesting that they use a specific hashtag when they mention your business or asking them to sign up for your email updates. There are lots of services that you can use to automate your emails to save some time. For example, if you’re a personal trainer you can set up automated follow-up emails to go out to those who have finished their journey with you. recommend your services to their friends or to give them an incentive to ensure they’ll come back to you. One of the most difficult parts about creating high-quality content on a regular basis is finding topics to write about to keep your audience interested. That takes a lot of time and resources. So, instead, why not try to breathe new life into your old articles and gain even more value from your most popular content? Repurposing your content can help you to extend the longevity of your content, it can give you a search engine optimization boost and you can also make a bigger impact. And the best part? You can reach new groups of people that you might otherwise have missed. Think about it. Some people like reading blog posts, others would rather digest that information in the form of infographics, video graphics (or animated videos), podcasts, etc. So by repurposing your old content and switching up the formats to present the content in a new light, you can attract even more people. A very effective way to acquire new customers is to offer them a free trial or some way to test your product or service. This not only helps to market your business and entice prospects to become customers but is also a great way to gather feedback and make improvements where needed. You might not think so but cross promotions still work, no matter what business you’re in. For example, if you sell wedding dresses, go find event planners to partner with. Most small businesses are on a shoestring budget. However, that doesn’t mean you can’t compete with big brands when it comes to creative ways to attract new customers. You just have to get even more creative. Alternatively, you can let us manage your online marketing campaigns. We have a lot of experience helping local businesses just like yours. Contact us today, to find out how we can help. Advertising your business will help boost your brand awareness. AdWords is Google’s very own advertising service, designed to display paid ads not only within its renowned search engine but also within its entire advertising network. For example, an ad for a pet store in Orlando, Florida, might focus on “Orlando pet supplies”. Whenever a user searches for Orlando pet supplies, your ad will show up as a sponsored link. When your potential customers are looking for a local product, service, or business, they’re likely going to search for it on Google. They are looking for YOU and AdWords will help them CONNECT with you. 1. Reach Your Targeted Audience At The Right Time – Grabs people who are looking specifically for what you have to offer WHILE they are searching for it. 2. Immediacy – Unlike organic search, PPC ads can show results rather quickly. So it’s a fast way to get calls and foot traffic coming into your business. Your campaign could be live in as little as a day or two so it can get things moving pretty quickly. 3. Localization – It gives you the ability to target people in a specific location AND can even show your location to users. This is perfect for businesses that need to target prospects in a specific geographic area. 4. Highly Targeted – In addition to localization, you can create different types of targeting for your ads, including mobile targeting, language targeting, time targeting, remarketing, and more. 5. Better Website Visibility & Traffic – While organic search engine optimization (SEO) tends to be the “slower” way to get a website to rank higher in the search engine results, AdWords can give your site more attention much faster. So it can help you meet short-term goals when it comes to getting more website visitors, traffic, and conversions (as long as your site is properly ready to convert). 6. Its Cost Effective – Contrary to popular believe AdWords is not expensive when done effectively. You only pay when an interested person clicks on your ads, so as long as your ads are targeted properly, you will see an impressive return on your investment (ROI). 7. You Control Your Budget – You can spend as little or as much as you want on your campaigns, allowing you to always work within your budget. A larger budget will yield better results, but setting it up will be time intensive. However, once everything has been set up you can run effective campaigns in about an hour per week or less. 8. It’s Flexible – You can start, stop, pause, and test your campaigns at any time within AdWords, so it is extremely flexible. For instance, if you want to try different search terms, just pause your campaign and re-start it whenever you want with your new keyword phrases. 9. Run Multiple Campaigns – If you have different products, services, or marketing objectives, you can run a lot of different ad campaigns at the same time – you are not limited to just one. This allows you to fine-tune your targeting, perform in-depth testing, and really connect with those who are looking for what you have to offer. 10. Easily Measure Results – With AdWords, you can measure every aspect of your campaign, including the number of clicks, number of impressions, click-through rates, conversion rates and more. This is unheard of with traditional advertising methods, such as newspaper ads, TV ads, and others. 11. Competitive Advantage – Running AdWords campaigns give you the advantage over your competitors, most of which have not even tapped into this profitable marketing technique. Your business will show up high on the search results pages, which means you will get more clicks. There are a lot of mistakes you can make along the way, but Google AdWords can be a really powerful marketing tool. Besides, you don’t have to do it alone. We are experts in AdWords and can manage your campaigns for you. By following our advice or letting us run your campaigns for you will guarantee the success of your ads. If you’re ready to have a team of professionals to handle AdWords for you, contact us today for your free, no-obligation consultation. A Good Website design will make the experience of your customers more enjoyable. Have you ever visited a website but found it confusing and didn’t know where to click to find the information you were looking for? It’s annoying, right? If your site’s navigation is chaotic, the chances are your customers will have a hard time finding what they’re looking for in a few clicks. In other words, you can lose a sale in a matter of seconds. creative and different but a business or e-commerce site needs to be clear and logical. 2. Grrrrr ….Where’s the Search Bar? You don’t want to frustrate or annoy your visitors. If you have a site with hundreds of pages or products, you need to make it as easy as possible for your visitors to find the product they’re interested in purchasing. How? expect to see it. It is that easy but it ensures users won’t be wasting more time than they need to clicking around and looking for a product which you may or may not have. High-quality images help your customers imagine your product in their home or their possession. Since you can’t do that online, the best alternative is to use high-quality images for the products you’re trying to sell. You need to make the checkout process as simple and as quick as possible. If there are too many steps, or if you’re making the customer fill out too many forms or perform too many complicated actions, they’ll become impatient, abandon the cart and leave. You should only ask for the information you absolutely need to process payments and deliver the product. That is the reason why Amazon is so successful. It has implemented the 1-click ordering process – it’s simple and quick. And one other thing; don’t add surprise charges at the end of checkout. There’s nothing worse than finding the perfect product, going through the checkout process to find out there’s an unexpected shipping charge. Be upfront with your pricing and delivery charges at the start of the buying process. Your site looks great on your computer and maybe on your tablet too. But have you tested it on a smartphone as well and on other different devices? on most if not all of them. 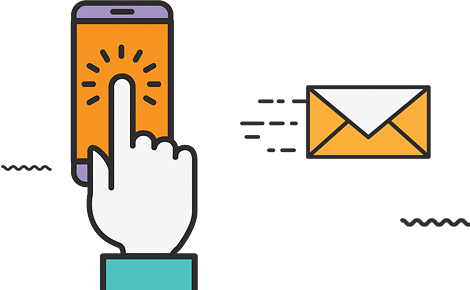 Even though email addresses and phone numbers are the most requested forms of contact information, having a physical address on the website might be more important as it’s one of the key credibility markers. If you have an e-commerce website, it’s important to give your potential customers multiple ways to contact you. A phone number or an email address should be on each and every page of your website. • Use descriptive yet concise headings and subheadings to help visitors understand what the next bit of content is about before they even starting reading it. (This article does exactly that). • People don’t like to be confronted by a huge wall of text. Use images to break up the text. • Structure your copy using bulleted lists, making it easier for visitors to digest the information. • Highlight important keywords and call to action to grab their attention. • Use short paragraphs as people are put off by long paragraphs. • Use a simple writing style. Don’t use lots of jargon or try to impress people with long and complicated words. • Cut your copy down until you’re only left with the essentials that can get your message across. We have a lot of experience not just with designing websites but also with all aspects of online marketing. Why not contact us today to see how we can turn your website into a 24 hours sales and lead generating machine. It’s official. Social media is one of the cheapest and easiest ways to build your brand and get your business name out there. Long gone are the days when you had to blow huge budgets on advertisements in the newspapers, Yellow Page and leaflet campaigns. Nowadays, a simple article or video posted to your page can be the ultimate breakthrough for a small business’s social media presence. The key to this is an online success are the number of shares a post will get. Some companies with a large following are able to get hundreds and thousands of shares and comments, while others aren’t always so lucky. If you’re in the latter category, by the end of this article you won’t be as you will be equipped with an action plan to help you increase the number of shares your posts get. Social Media platforms are key elements when it comes to developing brand awareness. It is important to determine who you want to share your content. Influencers are people who are experienced, knowledgeable or well known in your industry. They often have high follower counts, and almost always get plenty of shares on the content they post. Influencers are the key to your sharing success and these are the people that you want to reach. If you can get them to share your post, chances are it’s going to reach a lot of people that are interested in your product or service. So how do you get them to share your content? To get noticed, it’s important to do your research. Look through their social media pages for ideas and inspiration.  What kind of things have they shared before?  What are their interests?  What kind of posts do they share on a regular basis? Once you have this information, you can start working on a post that caters to their interests and is relevant to your business. A good way to generate interest and shares of your content is to focus on what people are currently concerned with. Trending topics are your friend- pay attention to them. You can use Twitter and Facebook to get a real-time report of what people are talking about. Wondering where to start? If you have a topic in mind, searching it using a hashtag is a really good way to get an idea of how people are currently engaging with it. Facebook is particularly good for this because it shows you exactly how many people are talking about a particular issue. It’s a great indicator of how many people could potentially be interested in what you are posting about. Carefully research until you find a topic that is interesting and entertaining for your followers, while still related to your business. Don’t forget to include hashtags in your own posts. They will help you get shares by making it easy for people to come across your content. Where Are You Going to Post Your Content? The simple answer is: wherever your influencers are. You want to make sure your post is seen by all the right people to increase your chances of getting shares. When you do your research, you will know exactly what social media channels your influencers are using, so be sure to promote your content in all the same places. Facebook and Twitter are brilliant, but don’t forget the other little gems: LinkedIn, Snapchat, Pinterest, and Instagram… the list is endless. Don’t be afraid to share the same post on different social media channels. Promoting your content across different platforms is a great way to make sure your work gets seen by as many people as possible. Will Your Content Be Liked? There’s only one way to find out: test it! Publish a few varied posts and see how your existing audience engages and reacts to it. You will see for yourself how popular it is by how many times each post gets liked, commented on and most importantly, shared. Which post was most popular amongst your followers? The posts that come out on top are the ones you’re going to take to promote. Testing your posts will allow you to gauge what your followers find interesting and what kind of content they want to see. Once you’ve identified and tested your best content, you can really put the plan into action and start to boost your shares. Paying to promote your posts can be a wise investment for your business. It allows you to reach people who are interested in your business who may not have seen your posts otherwise. Every business has a Twitter account these days, so it really does pay off to do all you can to make sure your posts get seen and shared. Sometimes one or two great posts is all it takes to gain a follower, and if that follower is an influencer that’s great news for your business. The rule is not to go overboard: remember that the aim is to attract new followers with quality content. Many social media platforms make paying to promote your posts an easy process. Twitter, for example, allows you to create Follower Campaigns, which enable you to target promoted tweets at your influencers and other people interested in your business. It doesn’t have to be expensive either. The payment process is auction style, so you decide how much you’re willing to pay for a follower, and you only actually pay when somebody follows you. Every action plan needs a review, and once your share numbers start to increase it would be a great idea to analyze what has worked for you and why. By doing this, you can make each post better than the last, seeing an increase in shares each time. Running out of ideas for things to post? We understand that as a busy business owner you might not have the time to put all of these tips into action in order to run a successful social media campaign. The good news is that you don’t have to do it all yourself. We are experienced social media and online marketing experts and are here to help businesses just like yours. Why not contact us today to find out how we can help your business. We know the feeling, we have sometimes spent hours looking for suitable images for clients. Well the good news is that we can save you some time looking for free stock images as there are a huge variety of excellent free and paid stock images for commercial use available online. We have updated our list of stock photo sites as well as stock video sites you can use to find free images for your website or free videos for your website. Whether you need hero images for your blog, placeholder images for your website, or first-rate stock photography for commercial use, you’ll find what you’re looking for right here. Recent stats show that online video drives a 157% increase in traffic from organic SERPs. With the growth of platforms like Facebook Live and YouTube it's important for local businesses to take stock. Understanding the value in creating videos for your company can be an effective way to drive new customers. Although sometimes we all feel like we're missing that creative spark we need to create great content online for our video marketing material. Creating great video content from scratch can be difficult, however, we can help you create amazing videos that will have a positive impact on your business. But even we can get stuck sometimes. There’s generally two ways to get great content to use in your videos. One is that you take photos and video clips yourself. The other one is to use content found online. There are a ton of free resources you can use, so scroll down to get a list of resources you can use to make awesome videos for your business! Have we missed any or do you need your free stock photo site added then please let us know as we continually update our resources. It’s always best to double check the licensing for each stock photo resource below. We did our research when putting this list together, but licensing is subject to change and may differ by photographer. Some may require approval for commercial use, while others may be totally free to download and use. Valentine’s Day is the first major sales date of the year for retailers so we want to make sure you’re prepared for the next few weeks of increased demand. Valentine’s Day has become an essential holiday for businesses both big and small. It’s time to turn those haphazard, half-hearted marketing tactics into robust Valentine’s Day campaigns. According to various studies, Australians are expected to splash some serious cash for Valentine’s Day this year. Commonwealth Bank’s latest spending data has revealed Australians spent more than $23 million on Valentines Day. In 2017 we dropped $13.6 million on dinner, $7 million on drinks and $3.2 million on flowers — a 60 per cent total increase in spending across these three categories compared with an average Tuesday in February. And unsurprisingly, florists experienced a whopping 500 percent increase in sales on Valentine’s Day compared with an average Tuesday that month. People in NSW buy the highest volume of roses — but they don’t spend the most on the flower. Source: Commonwealth Bank. Valentine’s Day is an opportunity to launch some quick holiday marketing campaigns to turn those haphazard, half-hearted marketing tactics into robust Valentine’s Day campaigns. First and foremost, understand your store’s inventory and identify which products may be well suited for Valentine’s Day purchase. Once you’ve figured this out, you now have a list of products to push with your marketing campaigns. Here’s a short list of key product categories that very much identify with Valentine’s Day. Valentine’s Day shopping trends have changed quite a bit over the years. Valentine’s Day is no longer just for romance. Consumers will spend money on family members, children, co-workers, pets, and even themselves. For example, consumers plan to spend just over $26 on their pets during Valentine’s Day. Even if you don’t sell traditional Valentine’s Day products, use the opportunity to reach out to leads and past customers. However, also spare a thought for the lonely hearts. CommBank said that dating app subscriptions, to the likes of Tinder and RSVP, remained steady throughout January but then spiked in the week leading up to Valentine’s Day. In the week leading up to Valentine’s Day, men will be far the biggest downloaders of dating apps. Unlike birthdays and Christmas Less planning goes into Valentine’s Day shopping which means that nearly half of shoppers plan to shop in the lead up to Valentine’s Day. You’ve still got plenty of time to get your marketing plans in place. Valentine’s Day is the holiday that’s all about couples, so play on this idea with a “two-for-one” deal. If your company is able to offer a “buy one, get one free” offer, write copy that plays on being coupled up. Even if you don’t offer physical products, find a way to offer special deals on your services, and connect them to Valentine’s Day by using the relevant language. Promote your deals on social media for optimal impact. Put some effort into selecting your deal so that they are appealing to your core demographic, and relevant to Valentine’s Day and couples. It should not feel like a generic “buy one, get one free” offer, and you should also drive it with appropriate marketing both in-store (for physical locations), and online. Channel this kind of energy into creating coupons specifically tailored to your business – whether it be an online offer redeemable in store, or a physical coupon given in person or by mail. Make each customer feel loved. Say thanks and express your appreciation for their business by giving them a seasonal discount (preferably drawn up in pink or red ink). The coupon, of course, is beneficial to customers regardless of the occasion. Ryanair Ltd., a famous Ireland-based airline company, launched a Valentine’s Day competition on Twitter with the hashtag #loveRyanair. The competition was about encouraging people to post their pics with their loved ones, soul mates and asking them to choose their romantic dream destination, they ever wanted to visit. The winner was to get a chance to win free air tickets to his or her dream destination. Help your followers get into the spirit of love by adding some romantic flair on your social media profile images and cover photos (Hint: if you’re running a campaign, you should match your art to any other pieces of marketing collateral). Otherwise, just make sure it’s a Valentine’s Day tie-in that allows your brand to still be recognizable but also celebrates Valantines Day! Switching out your in-house decorations, online profile image, header, or background to something Valentine’s Day themed for a limited time will give your campaign a unified look. Given that the holiday falls in the middle of the month, February 1st to February 14th at 11:59 PM should be dedicated to capitalization on the building Valentine’s Day frenzy. Remember to, set a reminder to revert back to your regular, non-themed content schedule on the 15th. Active on social media? Ask your audience to share their love stories, finding a way to tie in the question with your brand. Be clear that not every story has to be romantic in the traditional sense. (You don’t want to alienate members of your audience). Ask for all types of love stories, including romantic, friendship etc. Offer a prize for the best story, but make sure you have the guidelines clearly outline before launching your campaign! Keep in mind that you shouldn’t explicitly ask your audience to like and share your post for extra entries as Facebook is cracking down on these types of posts. Posts like this don’t only encourage engagement, they are also more likely to be shared, promoting brand awareness. Just remember that Facebook is clamping down on engagement baiting, so refrain from explicitly asking for likes and shares. While chocolates, flowers, jewelry, and dinners account for the bulk of Valentine’s Day spending, gift cards amount to a large percentage of total sales. A staple of the last-minute shopper, the gift card is an excellent item to push during the week leading up to Valentine’s Day. Customising gift cards to the holiday theme will also help to boost profits before February 14th. Valentine’s Day is a wonderful opportunity to captivate your customers with a themed email marketing campaign. · either plays on the theme of love and romance, or explicitly mentions Valentine’s Day. Think “We’re in ❤️ with these hot February fares”, or “Valentine’s Day treats for you and yours”. · hints at the actual contents of the email, but be clear about any special offers. · includes emoji’s where appropriate. Emoji have been shown to positively increase open rates, as long as you don’t use too many at a time. Next, make sure the content of the email is appealing enough to drive customers to your website, and conversion. Uber’s 2017 campaign focused on encouraging customers to take at least one trip for a chance to win great prizes. But the email was also designed around a Valentine’s Day theme, from the header graphic, through to the wording of the copy, and even a slight modification of the CTA. We all know those people who wait until the last minute to buy gifts. Play to their needs by offering a last-minute Valentine’s Day gift guide that includes your products/services and a few others from different sites (non-competitors). Pick romantic-themed and self-love items and showcase them in a PDF, YouTube video, microsite or Snapchat story. Whatever you do this Valentine’s Day, make it about making your customers and potential buyers feel special. Invest your digital marketing efforts into creating Valentine’s Day campaign that brings you closer to the consumer, and use the tactics above to create a well-rounded, enticing package. Then seize the opportunity to capitalise on the next big holiday! If you need help with your next holiday online marketing campaign then get in touch for an obligation free chat to see how we can help improve your holiday sales. Just like at the end of an academic year a school awards its top students, we have decided the run the ruler over the online pet industry to see who is worthy of a merit award or who needs to do better next year…. Using a variety of commonly used online research tools we researched and have made a comparison as to how each brand is performing online. Whilst each tool provides a snapshot of the data we cannot guarantee the accuracy of data and there is a variance in the data between different resources. Understanding your competitors market positions and unknown competitors can better help inform strategic planning and spending decisions. Traffic rank of site as compared as compared to all other sites in the world. The rank is calculated using a combination of average daily visitors to this site and pageviews on this site over the past 3 months. The site with the highest combination of visitors and pageviews is ranked #1. Traffic rank of site as compared as compared to all other sites in Australia. Engagement metrics help you understand how interested a site’s visitors are with the site’s content. The metrics are updated daily based on the past 6 months. How fast does site load? Given that site speed is considered a factor in SEO ranking we checked the site speed of the various sites. The reported load time for a website is the median time it takes to load pages from that site in a real users’ web browsers. This takes the median of all the page load times we observe for a site and then compares that to the same figure for all other sites. For example, a site in the 98th percentile (Very Fast) has a median load time faster than 98% of all measured sites, while a site in the 2nd percentile (Very Slow) loads more quickly than only 2% of all sites and is slower than 97% of all sites. The load time of an individual page is how long it takes for the DOM – the structure of the page – to be loaded. This time doesn’t include the time to load all images and stylesheets, for example. Average (1.66 Seconds), 56% of sites are slower. Fast (1.541 Seconds), 60% of sites are slower. Very Fast (0.544 Seconds), 95% of sites are slower. Average (2.17 Seconds), 60% of sites are faster. Average (1.87 Seconds), 60% of sites are faster. Lets dig a little deeper into the organic data for each of our students. The number of keywords bringing users to the website via Google’s top 100 organic search results. The number of users expected to visit the website in the following month on condition that average monthly organic traffic stays relatively the same. Domain Authority: 44, spam score 1. Domain Authority: 42, spam score 0..
Who was the pet care audience. Let’s break down the potential audience to ensure that your messaging is aligned accordingly. Topics relevant to pet care market, the bigger the keyword the more relevant the topic. By looking at the top keywords searched allows you to gain insights into the most in-demand keywords and categories around the pet care industry. You can use these keywords to optimise current campaigns and offers on-site, create email and social media content as well as updating site tags and product descriptions to ensure that you are capturing all associated traffic where possible. We hope you enjoyed this snapshot analysis of the Australian online petcare sector. Stay tuned for our next industry report in the New Year. Whether you’re running a fast-growing startup, or you’re just opening the doors of your small business, you’ll benefit from the articles and insights that Better Business Magazine provides. If you’re looking to start a small business, or grow your already-successful business, Better Business is a great magazine to crack open. We are a team of digital marketing professionals. We strive to help small & medium businesses just like yours succeed in the constantly changing digital world.